This old structure has a nice perch over the Piscataqua and a first class view of the Portsmouth Naval Shipyard. 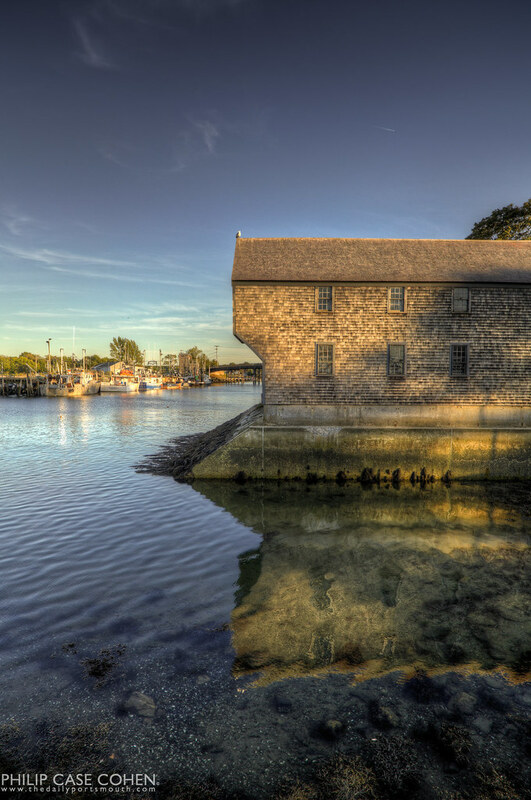 The Sheafe Warehouse was constructed in Portsmouth’s shipping heyday back when sailing was the predominant way to travel. They do an excellent job of keeping the structure in good repair, and each year they have an art opening inside that is pretty cool and rustic. The commercial fish pier is in the background, and looks like it is going to be gobbled by the structure and its reflection.